Koolpak ® Junior Sports First Aid Kit is ideal for first aid on pitch, with all the items required for attending the junior sports player, leaves you hands free to attend. Supplied complete with first aid contents needed to treat minor injuries on the field of play. Ideal for immediate use when on the field of play. Supplied in a quality waterproof bum bag, which has ample space to carry all your medical supplies. The bag is water resistant and easy to keep clean. Refill available. 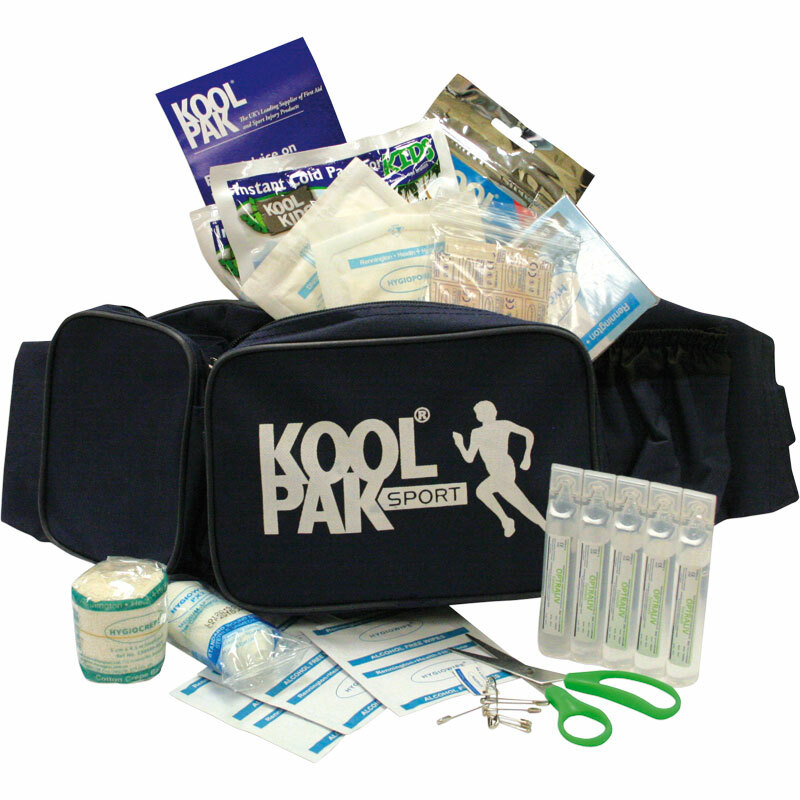 Please search on our website for Koolpak Junior Sports First Aid Kit Refill. 6 x Alcohol free cleansing wipes. 2 x Adhesive Wound Dressing 6cm x 7cm. 1 x Crepe bandage 5cm x 4.5m. 1 x Elasticated cold bandage 7.5cm x 2m. 1 x First aid guidance leaflet. 2 x Instant ice packs. 5 x Sterile eyewash pods 20ml. 1 x Sterile dressing medium. 1 x Physio bum bag. Excellent service and quality at the right price. I would have no hesitation in using Newitts and indeed recommending them in the future.